It is an optimal solution for long-lasting transfusion or dialysis. 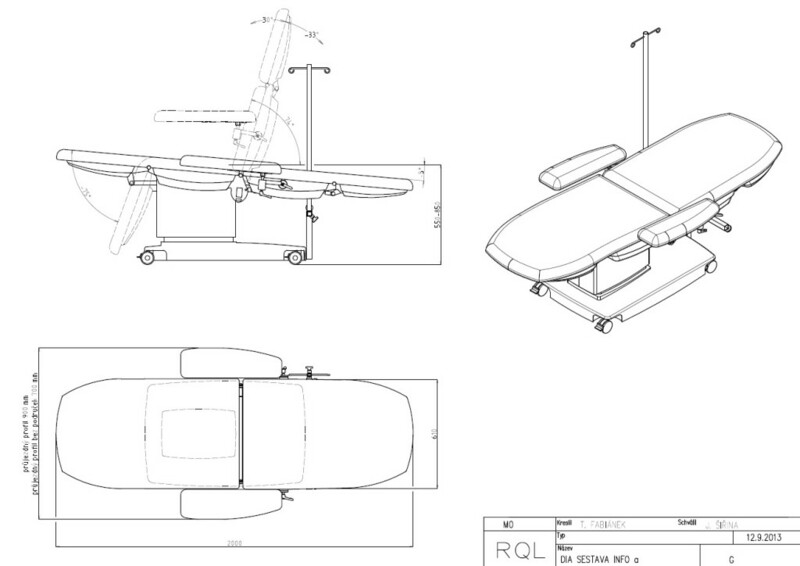 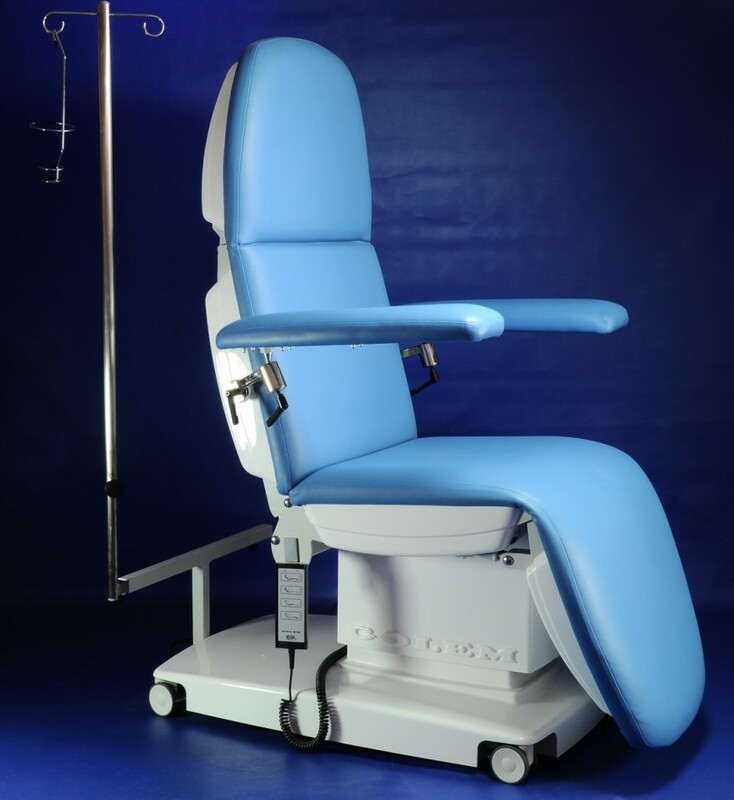 A comfortable chair for all patient’s positions; travelling version with Ø 75 mm braked wheels. Modern design with soft upholstery and grey plastic casings. 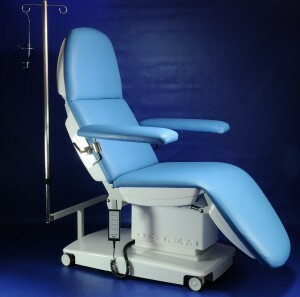 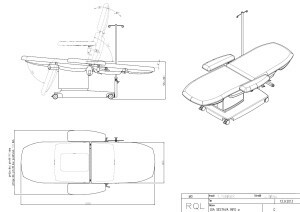 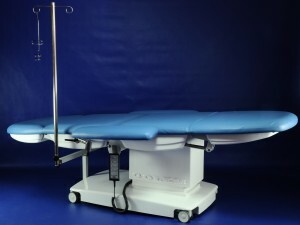 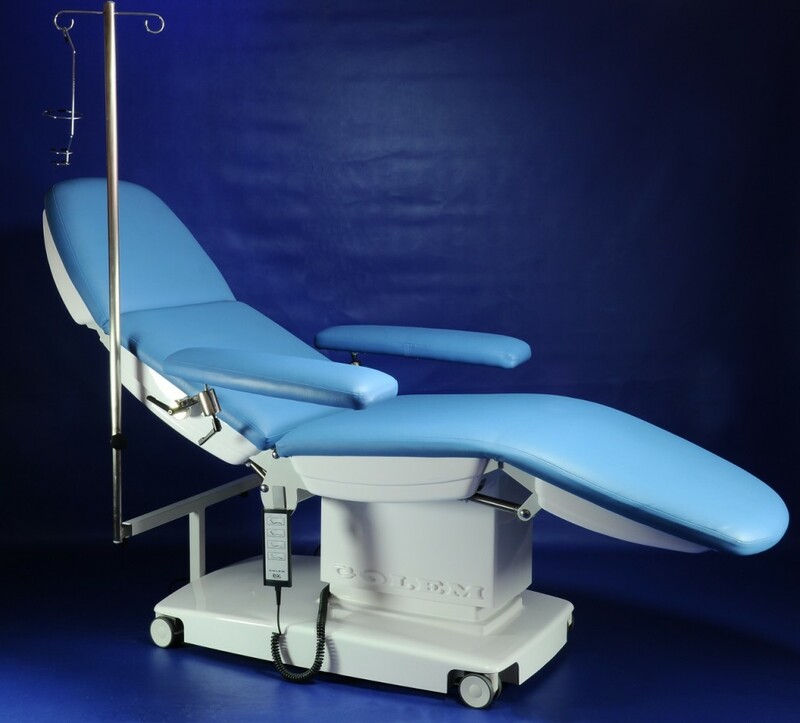 The four-segment operating surface with overall dimensions of 600 x 1 900 mm is covered with artificial leather in a colour of your choice; it is divided into a head segment, a backrest, a seat and a leg segment. The head segment is adjusted manually; an infusion stand, which can be used for both sides, is included in the standard equipment.